Anyone who knows me knows that I normally do not discuss celebrities, their lives, gossip and the other things that fill the supermarket tabloids. When conversations turn to those topics my blood pressure rises markedly and I either try to change the topic, or drop out of the discussion until there is something worth talking about; the lives of others not being something that I am interested in wasting time discussing. For the most part I try to live my life along the lines of a quote by a former First Lady of the United States of the United States, Eleanor Roosevelt. She said, “great minds discuss ideas; average minds discuss events; small minds discuss people.” The main thrust of this being that there are far more important things that I can, and should be doing rather than wasting my life concerning myself with what someone I’m never going to meet is doing with their life. Sometimes, however, fame intersects with our lives in ways that we cannot help but have a greater connection with than would ordinarily happen, as is the case when someone we admire suddenly dies or is stricken with an illness and suffers terribly, under the watchful eye of the media. 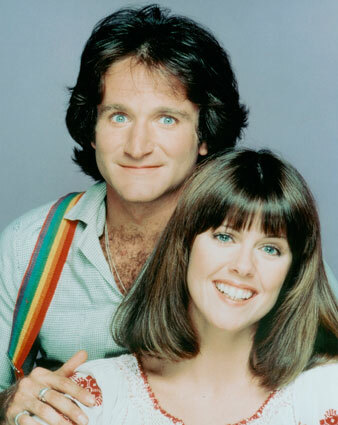 Such is the case of Robin Williams, a man that many of us were introduced to on a sitcom back in the 1970s called “Happy Days” as “Mork, from Ork”; a role that would become the starring role in the television show “Mork and Mindy” starring his co-star, Pam Dawber. There, for the first time, we were introduced to the manic energy that was – that always shall be – Robin Williams … and we laughed. We laughed, and Robin Williams became a hit, a star … a great success, suffering behind the scenes, when the prying eyes of the cameras were not there to capture the tears of the laughing clown. Pagliacci had taken his curtain call for the final act. Exeunt Stage Left, pursued by bear. The recent suicide of comic genius Robin Williams may have as a great shock to many, but it was less of one to others; it is still a tremendous tragedy regardless of which camp you fall into. Like many people, I found out about the death of Williams through a friend of mine on Facebook, but had no idea at the time that he had taken his own life. 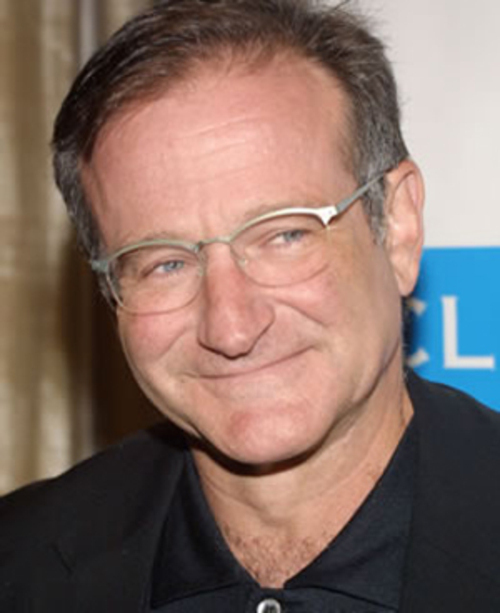 My first thought, however, knowing that Robin Williams had lived with bipolar disorder for much of his adult life, and had battled severe depressive episodes, as well as addictions, led me to think that there was a very strong likelihood that suicide was going to be the cause of death. Shortly after posting my reply to the original post I read an actual news source referring to the “alleged suicide” and my heart fell; yet another creative genius had fallen victim to the disease of bipolar disorder: the bleakness of depression had robbed them of their joy and they had chosen a permanent solution for what was truly a temporary problem. Mental illness is not uncommon among creative individuals, and it certainly hasn’t skipped the ranks of the comedic greats, many of whom have battled bipolar disorder, depression, and various other neuroses, which are often what fuels their acts and makes them so enjoyable for the rest of us to watch. The manic energy of Robin Williams gave his comedy an edge that was not seen anywhere else: he would literally walk out onto the stage not knowing what he was going to do until he opened his mouth … and then, magic happened. His brain operated faster than that of the mere mortal, he worked at a level that would astound anyone trying to keep up, so they didn’t try to keep up, they just sat back and allowed the genius that was Robin Williams to wash over them, to overwhelm them with his brilliance, to illuminate them with his wit, and to brighten their lives with what he had to offer … and then … it was over. But Robin Williams wasn’t alone: others have had similar paths. Richard Jeni, a comedian with a dark, sardonic sense of humour, was also afflicted with bipolar disorder and, unfortunately, took his life in 2007. Lenny Bruce, one of the ground-breakers in modern comedy, died of an acute morphine overdose, on August 3, 1966 after being hounded by the legal system for his use of obscenities in his act (he received a full gubernatorial pardon after his death … I’m sure that made everything better in the eyes of the state). Richard Pryor, John Belushi, Ray Combs, … there are more that could be added to the list, but that’s the point, isn’t it? There are more … there are always going to be more, unless the root problem is dealt with, and even then, there will probably still be more, for the problem is, mental illness may ultimately cause some of us to take our lives, it is also an important component of the creative energy that people want to see. Ah, yes … therein lies the rub. If you take away the pain, if you cure the blackness of the depressions, do you steal away the creative energy as well? Bipolar disorder was also known as Manic Depressive Disorder because of the nature of the illness. Aristotle wrote that the element of Mania (described as “hyperthymia”) as being responsible for the heightened mental gifts of artists, writers, poets, and all creative minds of the time. Given the number of highly talented individuals who are perfectly healthy and lead well balanced lives we know that it is not necessary to have a mental illness to be creative. However, researchers have demonstrated that given the relatively small size of creative communities compared to individuals who consider themselves to be non-creative, affective disorders such as depression and bipolar disorder occur at much higher rates than they do throughout the non-creative population. This is demonstrated in the writings of Kay Redfield Jamison, who is both a Clinical Psychologist and Professor of Psychiatry at Johns Hopkins University School of Medicine, and an author of several books including Touched With Fire, in which she examines the world of creativity and mental illness. Jamison shows clear connections between the creative worlds of composers and writers and that of bipolar disorder and depression. As someone living with bipolar disorder I cannot help but see those same connections between these comedians, many of whom have also been diagnosed either with bipolar disorder or with depression, and their work. As much as someone with this illness may despise it, a realization emerges that it is also what feeds our creative life (or at least it is part of that process, a part that cannot be separated from the whole): we either develop a grudging respect for the illness or a respectful fear for it, but we never become pleased to see it; there is never a time when we are buddy-buddy with the mental illness in our lives. The problem arises when we grow complacent about the illness. Mental illnesses can kill, as we sadly saw with the tragic passing of Robin Williams, but they do not have to: they can, and should be managed, but this is where things get difficult for those of us who rely on that creative energy that flows from the fires of the mental illness … fires that can burn too bright … fires that can burn us, engulf us … kill us. The fires of creativity, for some, come out of manic episodes, which is extraordinarily dangerous as full-blown mania can be absolutely out of control: they are usually accompanied by symptoms such as grandiose thinking, making great plans and not finishing any of them, working without the need for sleep for days on end, fast talking, loss of emotional control, lowered inhibitions, sexual promiscuity, risk taking, and being easily distracted (among several others). Full-blown mania usually results in the individual ending up in the hospital, receiving heavy sedation until the episode finally breaks. People have actually died from manic episodes as a result from an acute lack of sleep as the disease can cause people to remain awake for more than 72 hours, after which the person can literally die of exhaustion. Unfortunately, this is not necessarily the most productive type of energy that one can work under, for fairly obvious reasons. If you cannot stay still long enough to write down the idea that has popped into your mind it really isn’t that much use to you to have been inspired in the first place. There is, on the other hand, a sub-type of bipolar disorder that is much more conducive to creativity than full blown mania, which occurs in Bipolar type I, and that is Bipolar type II, which is defined by someone having experienced an episode of hypo-mania. Unlike full-blown mania, hypo-mania is not as severe, not as reckless in its severity, and the person afflicted with it is not as likely to end up in the hospital as the result of the episode. This is the type of Bipolar disorder that I’ve been living with for about twenty years, and I couldn’t imagine living without it, even though it has sometimes made me want to die, for I know my creative life is inexorably tied to the cycles that I experience. The energy that comes from the cycles is something that I am able to channel into my work on a daily basis, but the true hypo-manic episode is fairly rare … and that is by design: if they were allowed to appear more frequently the extreme depressive episodes would appear more frequently as well. Thanks to the treatment that I receive my episodes are reduced, but the creative energy is still present, and that is something that I wish someone like Robin Williams could have found for himself. I’m not ashamed to say that I see a psychiatrist. I’ve been seeing him since I began treatment for depression, back in 1999. I was improperly diagnosed as having unipolar depression at first, which isn’t uncommon when it comes to this illness; it often takes 10 years to properly diagnose bipolar disorder. Consider this: people with bipolar disorder don’t usually go to their doctor when they are felling “up” or manic, they go when they feel down in the dumps, depressed. The doctors see the symptoms of depression, ask a few questions and diagnose a depressive illness: but that’s only half of the picture. Antidepressants can often send the person with bipolar disorder into a faster ride on the Roller-coaster-from-hell, so much so that many psychiatrists do not prescribe antidepressants at all for patients with bipolar disorder, even when they are in a depressive phase of the illness. The medications used to treat bipolar II are varied, but it has been found that a cocktail of novel antiepileptics and second generation antipsychotics (several of which also have antidepressant properties) are sufficient in balancing out an individuals mood. When I see my psychiatrist the first thing he asks me is “how is your writing”? He knows that the best predictor for my mental health is how I’ve been working over the past month. If I’ve been composing and/or writing: I’m doing well. If not: Danger Will Robinson, Danger! I can take a day or two off every now and then, and that’s fine, but if I go a week without writing … that’s not good. If I went a month: that would be a MASSIVE call for help, and I might not have even seen it myself until I brought it up at appointment. The point is, I am very much about what I do: I am a composer because I compose. It is what I do, it is who I am. Similarly, I am a writer because it is what I do (when I have time, usually if I’m not composing). I’d love to take the time to sit down and work on my novel, but I have too many pieces I have to compose … so … I have to work out some sort of compromise (I still have to figure out how to not sleep at all … I’m working on it … a future post, perhaps). The important thing about seeing my psychiatrist is that we’ve developed a great rapport and, more than anything, he understands the importance of my work in my life. It would be possible to completely eradicate the bothersome symptoms associated with the bipolar disorder in my life: all that would take would be more medication. When I began my treatment, in 1999, we tried doing just that, but the problem was it stopped me from being me: I couldn’t hear music. The music in my head stopped playing and I couldn’t stand to hear it at all … I didn’t want to live, and didn’t want to take that medication. Surprisingly, my doctor understood, and a new protocol was established. Lower doses of a different medication (after some experimenting), and we arrived at my present “cocktail” of three medications: two mood stabilizers (two antiepileptics) and an extremely low dose of a second generation antipsychotic, which serves as a “major tranquillizer” to “quiet the monkey chatter” in my head at night. It works. Well. But, it doesn’t stop my moods from cycling, it just rounds off the sharpness off the corners so that it doesn’t hurt as much when I bump into them. To say that depression doesn’t still affect me would be a lie, it does; it visits far more than I’d like, but the episodes do not last nearly as long as they did before I began treatment. What used to last weeks or months now last hours or days, though they can be just as severe and dark. Fortunately, I was also able to participate in a program of psychiatric rehabilitation at the Royal Ottawa Hospital, here in Ottawa, that provided me with an abundance of tools for dealing with my depressive episodes from Cognitive Behavioural Therapy to Symptom Self Management. I can’t help but wonder how those groups might have assisted a person like Robin Williams to learn some valuable tools to help him cope with his inner demons. Of course, a few years ago a dear friend of mine from high school also lost her battle with depression and chose to end her life, chose to solve a temporary problem with a permanent solution. She left this world on December 6, 2006, and it shocks me that it was so many years ago … the pain of being notified of her death stings me to this day … I don’t know if anyone would go through with suicide if they really knew how much pain it would cause those who would be notified of their deaths. Let’s be straight here: I did not know Robin Williams, but felt as though I did through his work. A dear friend of mine, however, did commit suicide, and I still feel the pain of her death. I still hurt when I think of the things I’d love to share with her … and I still have her email address in my contact list, and her phone number in my (new) phone. She took her life almost eight years ago, but it feels like yesterday, and when I think about how senseless her death was, how much life she had in her, it grieves me tremendously, but I know that she was in a great deal of pain because of the depression that she suffered from and also because of a chronic pain condition called fibromyalgia. When you think of the emotional distress that Robin Williams was experiencing over the last few months the difficult thing to ask is why he didn’t seek help. A man with his resources could have certainly accessed any mental health services in the United States, and yet, he seemingly chose to suffer in silence and die alone. Mental illness can be a terrifyingly isolating disease to suffer with, especially when you think you’re going through it alone, and people living in the public eye may not feel it is so easy to access the same services that everyone else is able to when they aren’t being watched by the paparazzi 24 hours a day. At the same time, I find it difficult to imagine someone of William’s personality sitting in a room full of people trying to get help for his mental illness … but that’s the point, in seeking help you have to be just that, an ordinary, average person. When I sat through my groups in the hospital I wasn’t there as a composer or writer, I was there as a person with an illness, seeking their expertise: I NEEDED their help, and I received it. The great irony, I suppose, is that when he needed the help of others the most, when in his darkest hour, that’s when Robin Williams should have relied on his fame to get himself the help he needed; instead, alas, he listened to the darkness. I will always remember Robin Williams for the light that he brought into this world, for the laughter that he gave us, and the tears … the tears of joy. 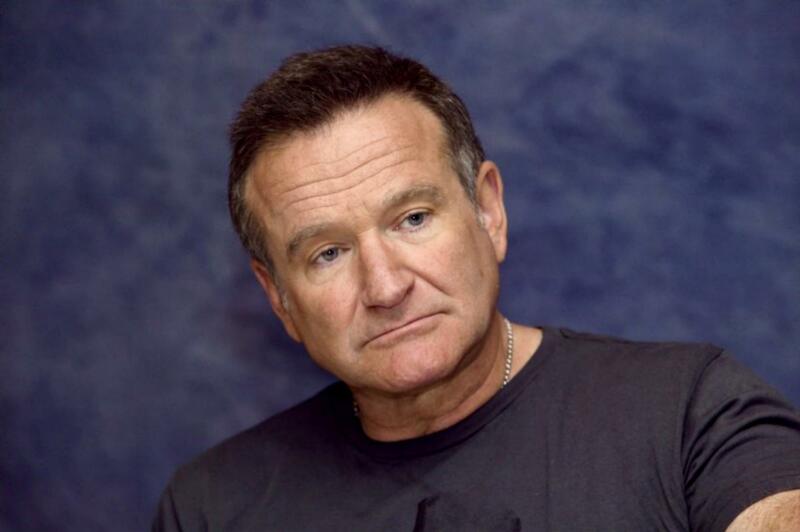 But I will also cherish the darker Robin, the Robin Williams of One Hour Photo, in which he did not play for the laughs, he instead explored a darker side of life; we know understand, all too well, that he was well acquainted with the darker side of life. Everything that I’ve heard since his death has painted a picture of a man who was exceeding generous and kind, both professionally and personally; Robin Williams was not only funny, he was a genuinely amazing person both on and off the screen, and that is good to know. It is always heartbreaking to hear that someone you admired in life turned out to be a selfish jerk once they’ve died and everyone starts talking about them. This is why I do not write about celebrities ordinarily, or gossip, as a rule. I only chose to write about Robin Williams and his suicide as a vehicle to discuss the issue of mental illness, in the hopes that it might help others who happen to find themselves in a desperate state, others thinking of hurting themselves. Please: suicide is not a way out, it is not a solution. Depression is not a permanent state of affairs, depression ends: it always does. Sometimes it seems like it goes on forever, but trust me, it WILL END! Please: if you are feeling suicidal contact 911 or the Suicide Prevention Hotline (America / Canada) or, if you have one, call your doctor. They are not there to judge you, they are there to help you, and they will. This entry was posted on 13/08/2014 at 3:41 pm and is filed under Mental Illness. You can follow any responses to this entry through the RSS 2.0 feed. You can leave a response, or trackback from your own site.